Welcome to the July issue of SiteSeer Product News. We're sharing the latest updates and enhancements to SiteSeer Professional. We've been talking a lot about Model Builder and its functionality lately. 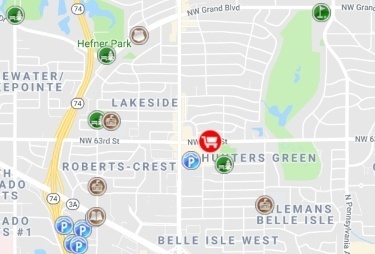 In May 2018, we rolled out location profiles, which are templates within SiteSeer's Model Builder tool for common chain stores. There are hundreds of available, making it easier than ever for those who want to build models. Location profiles offer a great starting point. That said, Model Builder makes creating models easier, but there can still be a learning curve. Need assistance? 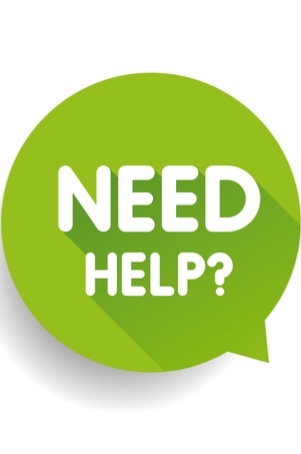 Be sure to check out our Help Video library. We recently updated videos with new features, including location profiles. Just log in to SiteSeer, click on Settings, choose Need Help? and click on the Videos tab. Previously in SiteSeer, having numerous data fields on a map meant you had to deal with clunky scrollbars. We've changed that to give you easy access to more data. Hover over a location in SiteSeer and you'll immediately see facts about your own stores, those of your competitors, and other map layers. 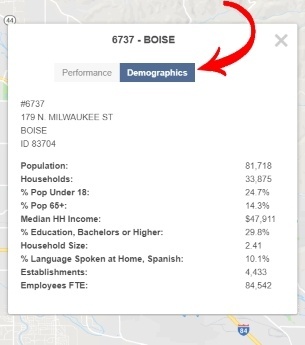 Now you can organize data under topics--one tab for store attributes, another for financial information, and another for demographic information, for example. Check out this latest change--and of course, you can always call us with questions! 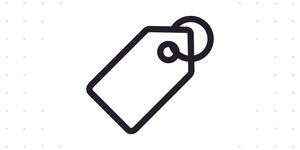 SiteSeer provides customers data sources for all needs and budgets! We're pleased to announce the availability of a new point of interest map layer from the crowd-sourced Open Street Map project. 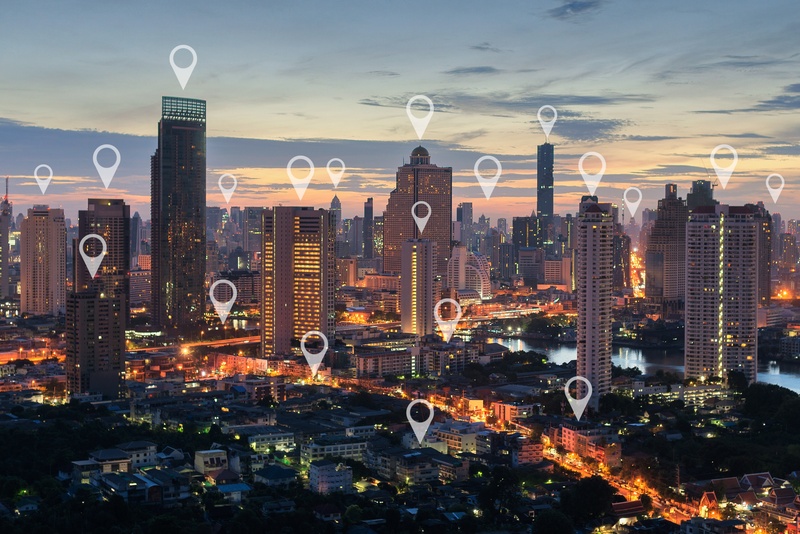 Nearly 1.7 million data points across the U.S., Canada, and Mexico are available now in SiteSeer--government buildings, transportation hubs, entertainment and recreation sites, schools, and churches, for example. Best of all: this data is available to you at no charge. If you're currently a SiteSeer user and would like access to this data, contact your client success manager or email the support team today. From the outset, we designed SiteSeer to allow our users to summarize data, however it is most understandable and meaningful for them. Unfortunately, it hasn't always seemed that way. 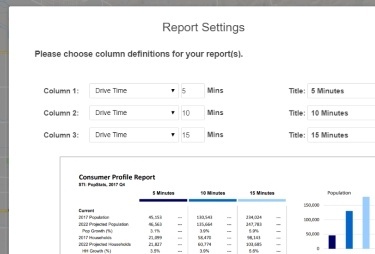 Introducing smart reporting! You no longer have to remember to enter the report settings menu or wade through a long list of report options. Now, every time you run a report in SiteSeer, you will be prompted for only the information needed to run that report--and not the information that isn't needed. This has made the user experience easier and simpler. And best of all, you can trust that your output is correct. A great way to keep up with our latest news, promotions, and blogs is to follow us on LinkedIn! We are trying to build our followers and would sincerely appreciate your support. To follow us, go to our page LinkedIn page. Then hit “Follow” and LinkedIn will prompt you to log in, if you’re not already. SiteSeer uses "scenarios" as a way to group sites. In 2017 we launched site groups, which lets you import lists of sites and report on them as a group. Now you can use site tagging to build your own site groups from sites in any scenario. Want to assemble a site tour layer from sites in many different scenarios? Need to view just your sites that are under construction? Organizing all your planned sites for the upcoming 2020 budget cycle? Now you can.